Canawa Spring is located in barangay Canawa. Its refreshing cold aquamarine water meanders into the streams irrigating rice fields on the plains near the idyllic pastoral town of Canawa. Why Canawa Spring is special ? 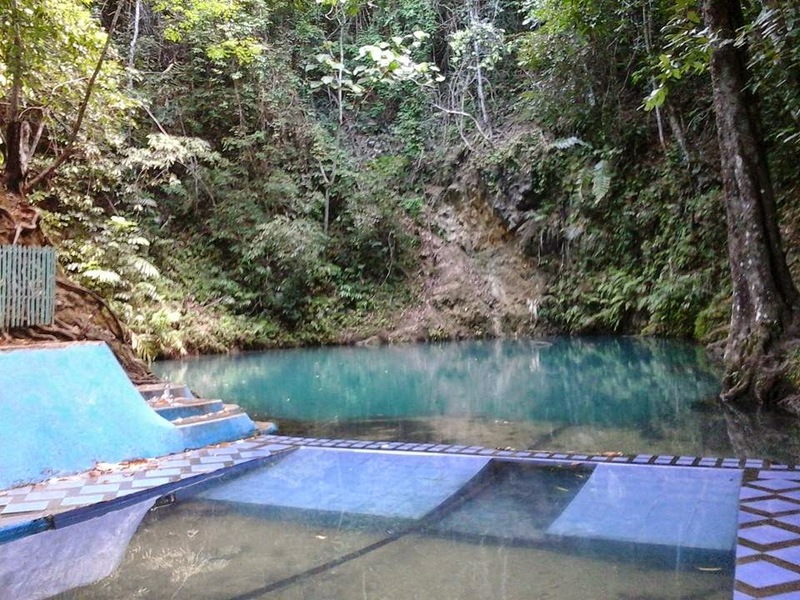 Canawa Spring is up in the mountains of the municipality of Candijay. This is a relatively big pool of water surrounded in three-fourths (3/4) of its circumference, in a horseshoe manner by a high steep slope that seems to funnel down into the spring. This explains the poor visibility of the area, what with all the rains of the last few days carrying soil and silt into the pond. The locals swear to the fact that during the months of January to May, the water is crystal clear. This local tourist destination in Barangay Canawa was named from the term “cawa” meaning a pan shape cold spring. What to explore at Canawa Spring? The pristine cold spring Canawa Spring is one of several natural resources in Candijay, Bohol. The azure waters are cold and the foliage surrounding Canawa gives it a more relaxing feel. Beautiful as it is, Canawa Spring is also mystifying, with numerous attempts to measure its depth end unsuccessful. According to locals, no one has ever reached the bottom of Canawa so for those who can’t really swim or who gets cramps when the feet are soaked in water after a long walk, it’s better to say on the sides. Ropes running across the spring have been installed recently so if ever you can’t swim but wants to enjoy the waters, please do hold on to those ropes. How to get to Canawa Spring? It’s advisable to take habal-habal or 4-wheel vehicles to access the bumpy section of the road. The road directions are easy to follow. If you can't find the Canawa Spring on any maps, it's best to ask the local people how to reach the place. You can rent picnic tables for 100 pesos. You should bring your own food and water. Refreshments are sold at the parking area in Canawa Spring. Once the tip of your toe touches the cold water of Canawa spring, you would surely feel the urge to swim and savor every single moment of it. Canawa is reached via a rough, steep road, turning inland from the coastal highway about 9 kilometers past Candijay proper, near La Union. Once on the correct inland road, signs will direct you to the spring. Four or five kilometers from Canawa Spring is the Can-umantad Falls, the tallest waterfalls in Bohol. We had read lots about the spring and also the can-umantad waterfalls nearby but could not find out how to get there or any maps. So we decided armed with several bottles of water, as it was a super hot day to take a bus to Candijay then ask the locals as had been suggested by other online forums. When we got to Candijay a kind man at the petrol/gas station informed us we needed to carry on travelling north on the main road out of candijay, so we jumped on a trike (three wheeler). As he said we saw a sign pointing to the spring that took us off the main road. It was then a 9km journey to get to the spring, the first 2km we carried on in the trike until it got waay too rough and steep. Then we hopped off and walked the rest of the way on a very steep uphill path that took us through the beautiful countryside, rice fields, grazing buffalo and little villages where everyone was very friendly. The pool was refreshing we jumped straight in as we were soo hot! It was 10 peso entry each and we werethe only tourists there. Dont expect to get lunch but there is a small shop there selling basic drinks and snacks. I would say the best bit was the trike journey and then hike, rather than the spring itself which was a bit on anti-climax. I wish we had gone to the waterfall instead.